To celebrate his birthday, we’ve invited master illusionist Harry Houdini to the office for tea and cake. Hey. Where’d he go? The world is one big melting pot and people move around all the time in hopes of a better life for themselves and their families. When Rabbi Mayer Weisz and his wife Cecília left Budapest in 1876 and set off for America – the land of opportunity, the land making immigrant dreams come true (well, until recently anyway) – little did they suspect that their son Erik, born on March 24, 1874, would become a magician whose name is now renowned the world over. Erik Weisz (later changed to Ehrich Weiss) grew up in a large, very poor family. He had little education, but his parents had high hopes that their children would succeed in life and expected nothing less. He became fascinated by magic when he was a small boy, and, tired of all the menial jobs he was forced to do to help supplement the family income, he decided to pursue magic when he was 17 using his new name – Harry Houdini. He began with card tricks and other sleight-of-hand illusions before he found his métier: escape! Fascinated by locks and other restraints, Harry honed his escape skills, wriggling out of police handcuffs, unpicking locks on jail doors and extricating himself from heavy, locked chains draped across and around his body. He jumped into rivers fully shackled and inside a padlocked box, only to rise to the surface minutes later having escaped his deadly bonds. An incredibly fit man, Houdini trained intensively. He practised holding his breath, picking locks and becoming ambidextrous. He became a grand illusionist who dazzled crowds by escaping from impossible situations. He was soon working his way out of straitjackets. On stage, he’d be strapped into a straitjacket, put inside a cabinet or box and the curtains would close. Or he’d be straitjacketed and suspended upside-down hanging from his ankles. Within minutes he’d have twisted his way out and pulled the curtains back with a flourish to lap up the applause of an astounded, admiring audience. The trick for which he became most well known was the “Chinese water torture cell” escape. It was a riveting piece of theatre from a master illusionist. The audience perched on the edge of their seats as a tank was filled with water and Houdini was strapped into a shackle, then lowered upside down into the tank, which was then locked and covered over. The posters read “failure means a drowning death” and it sure looked like that was likely. 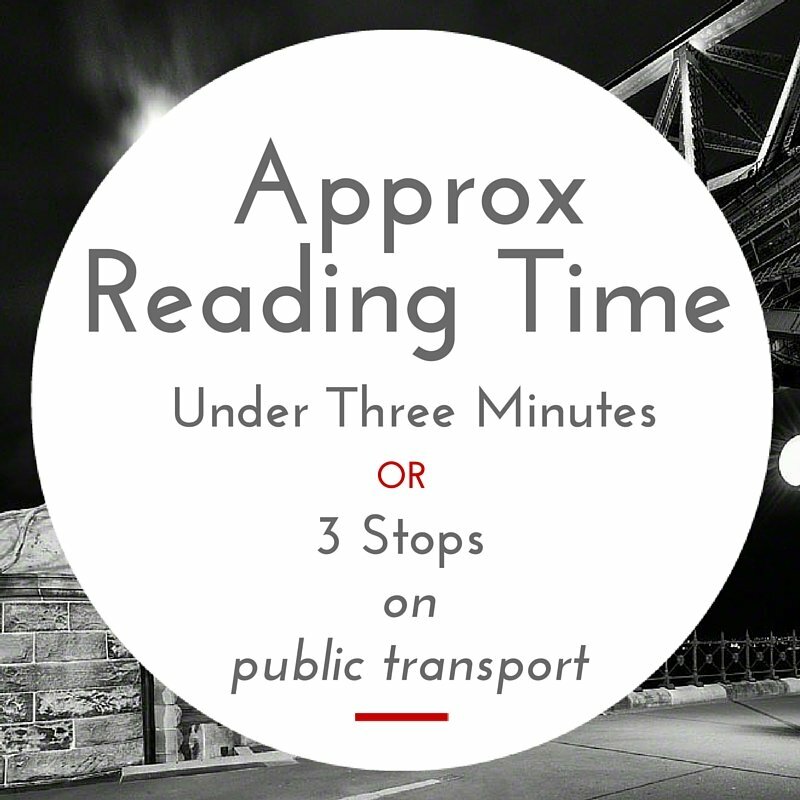 Three minutes was the maximum time he could be submerged. It was an impossible challenge. The level of horrified excitement in the crowd was through the roof. How would he get out of this fix? But get out he did, bursting out of his watery prison to the utter amazement of the entire theatre. Pull a rabbit out of a hat? Nothing so commonplace. For Houdini, it was all about spectacle. His “vanishing elephant” trick left audiences gobsmacked. It was quite a feat and a massive crowd-pleaser, in all senses of the phrase. These clever and highly entertaining skills made him the talk of New York and beyond. He was soon performing across Europe to packed theatres. He was accompanied by his wife and onstage assistant Bess Rahner, whom he’d married in 1893. Theirs was a happy marriage but produced no children. Here’s something you may not know – Houdini’s brother Leopold Weiss became one of New York’s first radiologists and to help Leopold’s research, Houdini was regularly x-rayed. He was most likely rendered sterile from this exposure. Yet there was more to Houdini than magic. He had loads of other interests. He became involved in the movie business. His first film, made in 1901, was called The Marvellous Exploits of the Celebrated Houdini in Paris. He acted as special effects advisor and also as an actor, starring in the serial The Master Mystery in 1918 and in The Grim Game in 1919. Other films followed and soon Houdini established his own movie business, although he packed it in a few years later claiming it wasn’t profitable. He also took to aviation and in 1910, becoming the first person to fly across Australia – at Digger’s Rest in Victoria – in a controlled powered flight. He wrote a book on the occult discrediting so-called psychics and warning people about scams perpetrated by mediums. All the while, Houdini continued to perform across the world, and served as president of the Society of American Magicians from 1917 until his death. A week or so before his death, Houdini hosted a group of university students in his dressing room before a show. 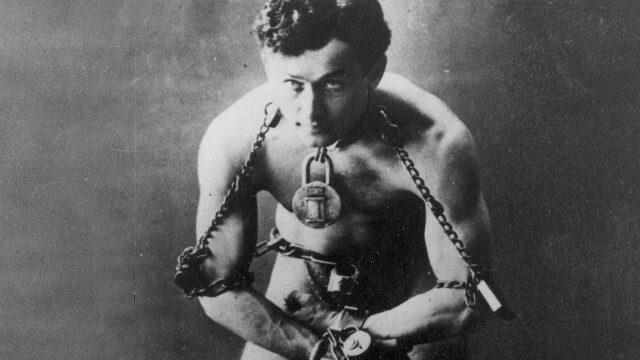 He’d earlier injured his ankle when a piece of equipment in his act malfunctioned, and was unprepared when a student asked whether it was true that Houdini’s stomach could withstand heavy blows. The student hit Houdini with great gusto, leading the magician to suffer acute abdominal pain. Ever the showman, he went ahead with his act the next day, just making it through before crumpling in a heap. His appendix had burst. Houdini died from peritonitis in October 1926 aged just 52. Fittingly, perhaps, Houdini was buried in the same coffin he used to rehearse his “buried alive” trick. At his memorial service, the first “broken wand” ceremony, in which a wand is broken to symbolise that the magic has gone from that magician, was held in his honour. The broken wand ceremony is still performed by magicians every year on the anniversary of Houdini’s death. Not even the greatest escapologist ever can escape the final curtain. Houdini is interred in the Machpelah Cemetery in Queens, New York. Internet illusion: How many faces can you spot?